The decade of the 1970's was a period when many new people 'found' anarchism and tried making sense of the ideas. There was a lot of experimentation, arguments, crazy stunts, and humorous media antics. Some people became burnt out by these years, some emigrated overseas to return years later, some people dropped out of activity altogether, some became entwined in the drug culture, and a few people tried to learn from the experiences and develop an anarchist practice and anarchist method of organisation, and build an Australian anarchist movement. The following essay is useful for cataloging some of the events and major conflicts in the years 1975 to 1981 within anarchism in Australia, and Sydney in particular. A Short History of recent Sydney and Australian Anarchism. Any history of Sydney, or Australian anarchism will be incomplete and subject to the subjectivity of the writer/historian. However, with this said, I'll now detail some of the recent history of anarchism in Sydney over the last decade. For it is a history which needs to be restated, and there are lessons which have been learnt. BACKGROUND - BEFORE THE SEVENTIES. "There have been anarchist groups and individuals in Australia since the late 19th century. By and large, these had disappeared by the depression. After the Second World War immigrant anarchists formed their own foreign language groups and there were also English speaking groups around during the 40's and 50's. Today's anarchist movement developed chiefly from the Sydney Anarchist Group (SAG). In Sydney during the 50's there was a certain community between the non-Communist Party of Australia left (anarchists, trotskyists, etc.) and the Sydney Libertarians - a rather dated group of free thinkers ultimately deriving from, and reacting against, the philosophy of a Professor Anderson of Sydney University. This community of the left and ultra-liberal was sufficiently large to form a barrier against the relatively hostile political environment. Although the SAG, which was chiefly composed of migrants, never managed to take root in the community at large it never completely disintegrated either. At various times in the 50's and 60's it apparently collapsed and was then revived; during periods of collapse anarchism continued as individuals at libertarian meetings. The SAG attempted several publishing ventures: - Anarchist Review (3 issues), Red and Black (9th issue & still publishing), and The Anarchist (3 issues). At the same time the Libertarians produced Broadsheet (monthly), The Sydney Line (compilation of Broadsheet articles), and Libertarian (occasionally). There was considerable cross-fertilization between the two groups - the chief contribution of the Libertarians being their trenchant criticisms of classical anarchism. Although Sydney Anarchism hadn't developed a distinctive position - unless libertarianism is anarchism - it was probably moving towards the sort of position exemplified by Cohn-Bendit with various alterations according to individual political backgrounds. The classical anarchist immigrant groups ceased to be significant. In the mid 60's an anarchist group developed in Brisbane. This group was responsible for the first radical anti-conscription and anti-war demonstrations in Brisbane. Later, its university wing helped in founding the Campaign Against Conscription and Students for a Democratic Australia. Also in 1966 a short lived libertarian group started at Monash University, and the group, TREASON at La Trobe University, both in direct contact with the Sydney and Brisbane groups. During the early 70's such personalities as Germaine Greer, Wendy Bacon, and Richard Neville were publicizing anarchist ideas, especially in regard to state censorship. Such printing endeavors as Thor (which grew out of the university student paper Tharunka),'Oz magazine, and a newspaper edition of the Little Red School Book (distributed free to school kids), aroused confrontation over censorship. Meanwhile, the SAG was publishing anarchist leaflets, pamphlets, and the occasional journal Red and Black. A number of members were active in the Draft Resistance movement in Sydney. To the point of seeking TV interviews and then evading the local constabulary. One instance in particular with two anarchist draft resisters, involved a high-speed car chase through inner Sydney streets. They seemingly were caught at a set of traffic lights near the entrance to Sydney University, as two burly police officers jumped into the back seat of the car. However, the comrade driving was able to drive the car up into the university, just at lunchtime when students were pouring forth from lectures. Several pairs of bolt cutters appeared in a matter of minutes and the comrades were able to escape through the crowd, leaving the police officers standing sheepishly with broken handcuffs in a crowd of hundreds of students. Up in Brisbane during 1971 a split occurred in an organization known as the Revolutionary Socialist Party. The Self-Management Group Group (SMG) was formed in December 1971 in an attempt to maintain the continuity of libertarian socialist ideas. The Labor Action Group which initiated the split maintained its formation for a short period and then many of its personnel joined the different Leninist and Trotskyist organizations in existence in Brisbane. The SMG was to adopt a councilist approach similar to Solidarity in England. In Melbourne a number of groups were still active - the TREASON group around La Trobe University, and the Collingwood Freestore. The Freestore was a shopfront in which people could give goods and take goods as they saw fit. It also offered services like medical, tenant, and legal advice. There was also living space behind the shop for enough people to cover the rent, as well as providing a crash pad for interstate and out of town anarchists. Activity was also happening in Perth, Western Australia. One of the people involved in Perth, Julian Ripley, was framed in 1972 of the planting of a bomb in the Department of Labour and National Service. In November and December of 1972 an anarchist conference was held in Melbourne, and a libertarian conference in Sydney. Out of the Melbourne conference came the Federation of Australian Anarchists Bulletin (FAAB), which survived for two issues during 1973. The Sydney conference was organized by the Sydney Libertarians and was essentially a forum for the presentation of papers and discussion. During 1973 the centre of Australian Anarchism seemed to be Melbourne. The Freestore was going strong, Dingo was being published, and university groups were active. In June a number of Melbourne women met and created AS IF - Anarcho Surrealist Insurrectionary Feminist. The Anarchist Black Cross (ABC) was started and the journal Acracia was put out, originally all in Spanish and then bilingual. The ABC group lasted for some years but dissolved in late 1975 after publishing some 40 issues of Acracia. Other states also had activity. West Australia had an Anarchist Federation and published King Mob and had a freestore for a short time. A South Australian comrade was active in publishing an anarcho-surrealist poetry magazine called Mere Anarchy. Queensland and Tasmania both had groups and bookshops. "For a start, while there are quite a few people who regard themselves as anarchists in Sydney, there is no functioning group at present except simply as a group of people who are personal friends and may work together on a particular project. ... Rather than organizing as a separate anarchist group (excerpt for publishing and self-education) we have been active mainly as a libertarian tendency within rank and file mass action groups. Primarily 'Push' libertarians have been active in the Victoria Street (Kings Gross) Residents Action Group (RAG) to stop high rise development destroying the community. ...Anarchists have also been involved in the Glebe RAG against a half constructed expressway that would bulldoze the entire area. The success of resident and union cooperation in applying 'Green Bans' to stop urban development was a major breakthrough between community and workplace struggles. A number of anarchists became involved both as rank and file unionists and community activists in RAGS. In late 1974 the MBA and the State Government found a new ally - the Federal BLF leader, Norm Gallagher, a Maoist, who proceeded with the aid of the bosses to smash the organization of the NSW Branch and install his own puppets. "In anyone's eyes this act is blatant class collaboration. Gallagher, along with his Marxist-Leninist bedfellows have sided with the boss and the state to smash rank and file activity in NSW. The MBA have seen that the 3,000 million dollars worth of development now presently being held up because of Green Bans might be smashed if Gallagher's scab branch in NSW becomes established. Thus ended in 1975 a major contribution to rank and file and community cooperation in Australia - a period of job occupations, work-ins, rank and file and community decision making. 1975 - THE SYDNEY ANARCHIST CONFERENCE. And so it was decided that Sydney should host the conference - being the most central of the centres of anarchist activity. The months leading up to the conference served to solidify a diverse group of people with as much diversity in ideology, around the Sydney Anarchist Group. The group itself had no ideology beyond being anarchist, just the purpose of organizing this conference. The conference itself - held over 9 days in January 1975 - proved to be a watershed in recent Australian Anarchism. The following is one account of the conference, published in an FAAB.
" Over 250 people attended the conference and the following groups were represented: - Brisbane SMG 8; Canberra 9 from the Woodstock Anarchist Party, ANU Anarchists, Canberra Anarcho-feminists, and Humanists; Melbourne from the La Trobe Anarchists 20, Feminist SMG 4, Monash University Anarchists 6, Strawberry Press Group 4; Flinders University Anarchists, Adelaide 1. There was a large number of people from Sydney anarchist and libertarian groups, plus many others not associated with any group, who went along to get more involved with the anarchist movement." "The conference was considered by most people present to have been a success. There were several achievements, one of these being the setting up of a national organization - the Federation of Australian Anarchists. Despite some opposition to both the idea of anarchists organizing, and to the verbalization of anarchist aims and principles, a draft document presented by A. from La Trobe Anarchists was accepted (with minor revision) as a basis for both a minimum definition of anarchism and national organization. "Following on from the acceptance of this document, there was discussion about the nature and production of the FAA Bulletin, with the result that this bulletin will become the internal communications bulletin of the FAA. It will be produced on a rotating basis by the federated groups ... There was discussion concerning the feasibility of a national anarchist newspaper. "Another achievement of the conference was the development of personal relationships between people from different places, with many strong friendships being made. One disappointing feature was that of the numerous papers (31) prepared for the conference, only 3 were actually read and discussed... Thus some of the discussions, without having a clear focal point, tended to be disorderly. In retrospect, the conference appeared to me to have a minimal structure, was fraught with ideological argument and proved to be little more than a week long getting to know your fellow anarchist. The only formal things to come out of the conference were the formation of the FAA and the organizing of the FAAB. A number of the more serious people with prior organizational experience deemed the conference as a failure. What the conference did provide was better communications between the eastern seaboard groups, and a definite resurgence of anarchist activity, especially in Sydney and Melbourne. The conference was the start of a period of 'anything goes' carnival anarchism among some Melbourne and Brisbane people and the SAG. Spontaneity was essentially the name of the game during 1975 and early 1976 in Sydney. Situations like a room full of stoned people suddenly deciding to go out and do a paint up on the local billboards and buildings often occurred. The local Police Station and Commonwealth Bank and the Medical Association building were often targets. Virtually all of the activity was centred around one house - 130 Glebe Point Road, Glebe. This house, with 9 bedrooms, was the main sleeping quarters during the anarchist conference. After the conference the house became anarchist and a short struggle was had to deprive our intermediate landlord of his profits from this house. Then ensued a lengthy and protracted fight with the owner, the Federal Government, and the amount of rent payable. 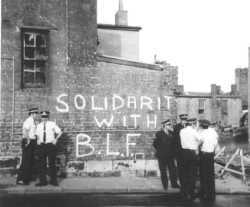 A rent strike was initiated; widespread publicity was gained by painting our case on the front of our home, and the use of leaflets. A compromise solution was eventually worked out in September 1975 after recourse to the Labor Cabinet Minister responsible, Tom Uren. The house remained anarchist for over 18 months till about August 1976. This is to inform you that it was not your milkman who failed you this morning. Your milk was delivered but has been redirected. While you were snoring in your cosy beds, Sydney members of the Dairy Liberation Front have struck! This activity is in conjunction with simultaneous action interstate. The material comfort we have seen here is in sharp contrast to the lives of the people to whom we are redelivering this milk. We pay the cost of your wealth in poverty and alienated labour. Today your milk, tomorrow your "bread"! One action that proved highly successful in terms of media coverage was a simultaneous action by the Dairy Liberation Front in Sydney and Melbourne. The purpose was to publicize the division between rich and poor by a token measure of stealing milk from upper class suburbs and redistributing it to community organizations in working class suburbs. Another successful situationist style action was the printing and distribution of the Leichardt Town Council Mayor's resignation letter. This was carried out at a time when allegations against council officers were being made about rezoning areas for high rise development. The fake letter caused a furore in council, made the headlines of one of the afternoon daily papers, and sent the police questioning all the left groups, except the anarchists. The letter was written in a style advocating an anarchist revolution and encouraging workers and residents councils. There was also a move during 1975 to set up small anarchist bookshops in Melbourne and Sydney - both doomed to fail through disorganization, mismanagement and lack of commitment. In October 1975 a National Women's Anarchist Feminist Conference took place in Canberra. This proved successful and discussed, amongst other things, methods of anarchist organization, concerns of particular groups of women, and a feminist critique of capitalist society. The Bribane SMG, by 1975, already had a well established bookshop - Red and Black - and a printshop. In Melbourne Strawberry Press became Slash Asterisk and provided an outlet for anarchist pamphlets. In Sydney a small offset press was brought secondhand and printing started in early 1976. Only three separate items were printed before the Sydney group split into roughly two factions at the June 1976 anarchist conference. After the split the press remained unused until a deal was worked out with Brisbane and an equipment trade was made. In Canberra there were three distinct groups during 1975/76 - the Woodstock Anarchist Party (WAP) active in High School circles, ANU Anarchists in university circles, and Canberra Anarcho-feminists. The WAP had about 12 members in Canberra, all high school students, who started the Students Action Movement which had a number of successful campaigns on conditions in Canberra schools. The WAP also had members in Tasmania, Melbourne, and Sydney and during 1975 published an Australian bulletin, the Phantom. The Industrial Workers of the World (IWW) was another international organization, which recruited new members in the anarchist resurgence of 1975. A Sydney Group IWW was started in January 1976 and in May the Australian and New Zealand General Organizing Committee was formed. 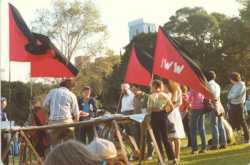 New members were signed up in Melbourne and Adelaide but the Sydney Group IWW has continued to be the only group of members in Australia and has continued to maintain a presence in Sydney ever since. 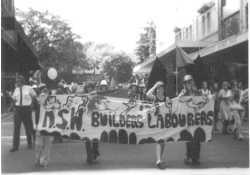 On May lst 1976, the Sydney Anarchist Group organized a Mayday march. "This year the first of May (the real Mayday) coincided with the NSW State election as well as the May lst march-festival organized by the Anarchists. The bureaucratically run official Mayday march is now held on the first Sunday in May with police permission and has little to do with the original idea of Mayday being a day of general strike by the people. So this year we decided to take the streets on May lst and have a march and then a festival. "We assembled at the Haymarket and then moved off. The 40 of us took to the road and seized one lane of George Street and marched half a mile up to the (Sydney) Town Hall polling booth. There we urged people not to vote, sang songs, read poems and handed out anarchist literature. At this stage the pigs noticed us and began to hassle us but there were no arrests. 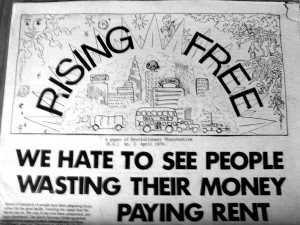 From March to June 76 four issues of a monthly newspaper, Rising Free, were published. The paper folded through lack of distribution, lack of funds, and the alienating comments throughout the paper. While carrying some excellent articles it simultaneously derided our own politics through 'in' political jokes. The paper was in many senses an ego trip by certain individuals in SAG - the 'chaotists' or 'carnival' anarchists as they became known at the Melbourne conference. The Second FAA conference was organized by Melbourne groups and provided another turning point for organized Anarchism in Australia. This conference, held in June 1976, precipitated in a split between the 'Carnival Anarchists' and the 'Serious Anarchists'. "On Sunday the 13th of June, 35 people, from Sydney, Melbourne, Canberra and Adelaide, met with the expressed desire to establish a libertarian/ syndicalist organization. Out of this meeting was formed the Libertarian Socialist Federation (LSF). "The formation of this organization was in response to the inability of the FAA to seriously consider, let alone adopt, an orientation towards the working class and organization. This was particularly shown at the National Anarchist Conference held on the 12th to 14th of June in Melbourne. The tone of the whole conference was set when, upon arrival at the opening session, people were confronted with spray-painted slogans on the outside walls of the conference venue, the Unitarian Hall (e.g. smash greedy doctors, Anerkist Conference, Here & There, All non-intellectuals welcome. etc) This provocative act was done by a group of Sydney 'Chaoticists', who continued in the same vein throughout the proceedings. "Session after session was marred by high-pitched screaming, playing of musical instruments, drinking and continuous acrimonious opposition to the concept of a chair-person, abuse of the conference facilities, general unruly behavior and disorganization. In addition, personal threats were make and anyone who tried to bring some order to the conference was abused and denounced as authoritarian and some comrades were accused of being social fascists. There was a general suspicion of any form of organization from this minority group. "Those people who were arguing for the Anarchist movement to become involved in trade union and industrial work were accused of neglecting other forms of struggle. Wherever this position was advanced the people doing so were denounced for idolizing the working class, ignoring its conservatism, 'laying heavy moral views', and pressurizing others to become factory workers. In fact our position was based on an analysis of the existing economic system and the immense actual and potential power of the forces of 'labour'. We were arguing that no fundamental social change was possible without trade union work and the development of rank and file autonomous labour movements leading to the people's self-management of the economy and society. This does not mean that we deny the influence of conservative values amongst working people, on the contrary, it is precisely because of these conservative values that we argue for a working class orientation since it is by being involved in the labour movement that anarchists can best help to combat these tendencies. That the aims and objectives of the FAA were reaffirmed as being sufficiently broad to include all forms of anarchism and any restriction of these aims would cut off important sections of the anarchist movement. The aims of the anarchist groups only have meaning in action. The important thing is whether groups take their ideas into action, whether this is on an industrial, community or personal basis. That all anarchists will work together on a practical basis. That it is implicit in the concept of anarchism that political liberation must be accompanied by personal liberation. The FAA actively supports anarcho-syndicalist movements and activities. The split was most effected in the Sydney Anarchist Group. A week after the National Anarchist Conference, a Political Economy conference was held at Sydney University. 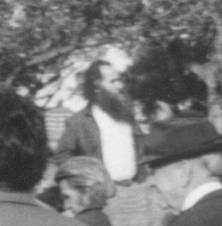 The Sydney 'chaoticists' proceeded to attempt to disrupt this conference through any method available, including a political denunciation of the conference circulated in the name of the visiting guest speakers and authorized in the name of a well-known Melbourne anarchist (and academic). This action alienated not only known anarchists and sympathizers in Sydney but also provided a bitterness and hatred between certain individuals for a number of years. At the same time as the Political Economy conference a number of members of the LSF from Melbourne and Sydney met and proceeded to set up, and plan as a long term activity, the Jura Literature Service. The Literature Service was named after the anarchist workers federation in the Jura Mountains of France/Switzerland, active at the time of Bakunin's expulsion from the First International last century. The FAA lingered on for one last FAA Bulletin and one last conference - the Brisbane Anarchist Jamboree held in January 1977. Over the two previous years a second anarchist group had formed in Brisbane centred around the Learning Exchange/ Friends of the Earth. The LSF in January 1977 had as affiliates the entire Adelaide Anarchist Group, a number of groups in Melbourne including the entire La Trobe Group, and a small group in Sydney. The western Australian SMG, because it had not been able to have personal contact with the other groups, was wondering what the hell was going on. The Brisbane SMG had enough foresight to stay away from the Melbourne conference and had certain internal problems. "BRISBANE: Over the last six months there has been an upsurge of interest in anarchism. As well there has been greater interworking between the 'non-aligned' anarchists and the SMG. The divisions in the SMG were discussed and it was noted that very few members of SMG representing SMG as such attended. Their lack of attendance was attributed to the fact that the conference was not closed. The Red and Black Bookshop and the Learning Exchange were also mentioned. "SYDNEY: It was noted that the Sydney Anarchists had not been very active. Most activities are now based on interpersonal relationships rather than any obvious framework. One specific interest area was squatting as many anarchists are currently involved in the squatting movement." The Libertarian Socialist Federation survived slightly longer than the FAA but after a couple of delegates meetings met a similar quiet death during 1977. 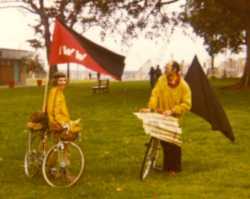 The Melbourne LSF during 1977 consisted of two groups - the La Trobe Anarchists active in the Jura Literature Service; and the Libertarian Socialist Collective, a discussion group which grew out of Free newspaper published in late 1976. From its humble beginnings in June 1976 the Jura Literature Service continued to expand. It was essentially a federation of three groups in Sydney, Melbourne, and Adelaide around the activity of importing, distributing and selling overseas anarchist texts. Its initial capital was raised by donations, the three groups specializing in different overseas publishers, then trading stock with one another. The Sydney branch of the service saw itself as a group which was anarcho-syndicalist in orientation and whose long term aim was the distribution of 'a wide range of previously unavailable anarchist and related literature'. Its selling outlets consisted of stalls on the three university campuses and at the Domain (Sydney's Speakers Corner). Another activity started was a campaign for Mayday on May lst. Two multicoloured posters were produced as well as a one-issue Mayday newspaper. But the public meeting called to discuss an ongoing campaign was poorly attended and the campaign was ceased. During l977 a number of new people had joined this Sydney group with the result that in August 1977 rented premises were found and Jura Books was established. This event occurred relatively suddenly, essentially at the instigation of one of the new members, an ex-trotskyist recently expelled from the Healyite Party - the Socialist Labour League. This person, while providing much of the impetus for founding the bookshop, after a few months and many arguments, left the group. His attempt at splitting the organization was unsuccessful and only one person left with him to pursue further their peculiar 'anarcho-trotskyist' ideas. For the first year of operation the bookshop had much difficulty in raising and paying the rent and bills; this difficulty continuing to menace the shop. The other groups of the Jura Literature Service have not been so successful. The Adelaide affiliate could not sustain a large enough turnover in stock in Adelaide and lacked the people in employment to finance expansion of stocks. They have since all but ceased their operations. In Melbourne the Jura Literature Service is centered around the La Trobe Anarchists, and once again lack financial backing, with the main selling point for their stock being at one campus bookstall. This group continues to maintain their existence. The Other Side to Sydney. At least two issues of a squatting broadsheet by the name of 'The Plague' were published, as well as a one issue magazine/digest covering a variety of Australian and international anarchist struggles/events and an extensive article on psychiatric control. Very little communication occurred between Jura Books and the 'Carnival' Anarchists, mainly as a response to the split in 1976. 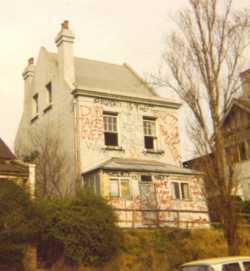 As a formal group the 'carnival' anarchists around the Darlinghurst squats have steadily disintegrated in their activity since about 1979. In that year a number of people departed overseas, and late in the previous year the 'individualist' anarchist, Ken Hauptman, met a drug induced death. He had been one of the most active of Sydney's anarchists since 1974. One major endeavor, which deserves mention, was the Libertarian Socialist Alliance for Self Managed Energy Systems. This was undertaken during 1978/1979 by six anarchist groups in four states. It included the Libertarian Workers for a Self-Managed Society, Libertarian Socialist Collective, and Monash Anarchist Society from Melbourne; Libertarian Socialist Organization from Brisbane; Sydney Anarcho-Syndicalists; and Adelaide Anarchists. A number of delegate meetings were held and a cohesive statement on uranium mining and nuclear power was issued. The Alliance also had a badge and two posters produced. Possibly the greatest hindrance to interstate cooperation between groups has been the enormous travelling distances involved for meetings. This isolation has tended to solidify certain group ideologies in different cities making communication and cooperation that much more difficult. Another important factor is the level of state repression. Both Queensland and Western Australia have repressive conservative governments and their police forces on a number of occasions have attempted to frame the local anarchists. In response, the groups in these states, most particularly Queensland, have adopted a high security consciousness in their organizations. Currently in Brisbane the Red and Black Bookshop is still functioning although in September 1981 they were forced to move premises after a substantial rent increase. The SMG during 1977 broke up into two organizations over essentially internal organization and allegations of cliques in the group. *14 Combined with this split into the Libertarian Socialist Organization (LSO) and the Self-Management Organization (SMO) a few people joined the International Socialists, a Trot group. Activity in Brisbane continues, especially in regard to publishing. Over the last few years pamphlets have been published on the 'Anarchist Case Against Terrorism', 'Uranium - the prospects for Oppression', and a reprint of Nicholas Walters 'About Anarchism'. Since June 1980 5 issues of the Brisbane Anarchist Newsletter have been published, on an occasional basis. Melbourne has always seemed to have a number of separate groupings - the main ones today being: The Jura Literature Service centred around La Trobe University Anarchists; Monash University Anarchists; a new group at Melbourne University; and the Libertarian Workers for a Self-Managed Society (LWFASMS). This last group over the last 20 months operated a small anarchist bookshop - Chummy Flemming Bookshop - which has recently closed. LWFASMS have organized a number of successful public meetings and currently publishes a newsletter. 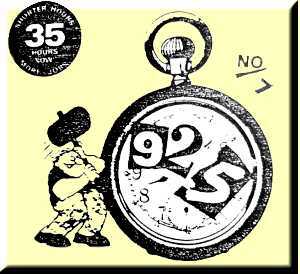 Two further groups are the Treason magazine group (7 issues); and the 925 street and work poetry magazine started in November 1978 and still going strong. There is presently little or no activity in Tasmania, South Australia, and the Northern Territory. In Western Australia the Perth Freedom Collective has been active since 1977 and has consolidated its foundation. Their publication, News from Nowhere, is an excellent newsletter and has maintained its regularity. A libertarian resource centre/shop has been open since 1979. The Freedom Collective in mid 1981 initiated a proposal for another federation of anarchist groups, and for better communication between groups. Essentially the Freedom Collective felt isolated (especially in regard to possible police persecution) from the other Australian groups. The proposal has met with hesitant support, at least in Sydney, as recollections of the failures of the FAA in 1975/76 are still strong. 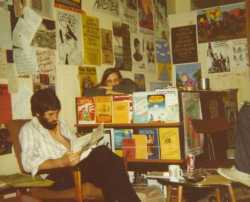 In Sydney, as well as Jura Books, other groups consist of: a discussion group at Sydney University; a group at Macquarie University which has been active since 1976; an anarcho-feminist group; an IWW Sydney Group; a publishing collective called Monty Miller Press; some people who publish by photocopying an anarchist 'punk' magazine. The Carnival Anarchists around the Darlinghurst Squats have had internal fights and have all but disappeared. Jura Books was opened in August 1977, as a result of the activities of the Jura Literature Service since June 1976. At the moment it opened it consisted of little more than half a dozen people. The name of the group - Sydney Anarcho-Syndicalists - had been chosen two or three weeks before the bookshop was started. Within the next two years the Sydney Anarcho-Syndicalists was to be quietly dissolved and replaced by the Jura Books Collective. Essentially this action was the result of the realization that we were working as an activity based anarchist collective, not as an agitational group with a specific ideology. This realization necessitated the collective examining the function of the shop, the basic principles which brought us together, and our aims and objectives. Over the last two years we have met and painstakingly are working out a statement by consensus on our basic principles, aims and objectives, agreed conditions for membership, and a written guide on the jobs done by collective members. 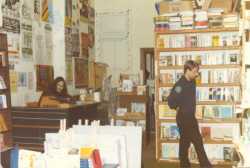 From the start, an essential aim was to run the bookshop as an act of propaganda of the deed - as an anti-profit enterprise This was facilitated by: relying solely on voluntary labour; donations and pledges to cover rent; spending all takings on stock replacement and expansion; operating with a minimal markup which generally allows us to sell well below the recommended retail price. We have gradually become the largest distributor in Australia of English language anarchist publications, and in the last 18 months we have expanded into stocking a range of Spanish, Italian, and Greek anarchist books and magazines. A large range of mainly Australian political posters for sale has also been built up. Because a collective runs the shop, there are the usual difficulties of sharing the work and decision making. Decisions on stocks and maintenance of the building are made at weekly meetings, most decisions being made by consensus. Tasks are delegated to members to do or to be investigated and reported back for a final decision. The high degree of organization necessary in keeping accurate accounts, budgeting, ordering, and staffing the bookshop means that members of the collective cannot at the same time be too active in other groups, especially if a member also has a full time job as well. 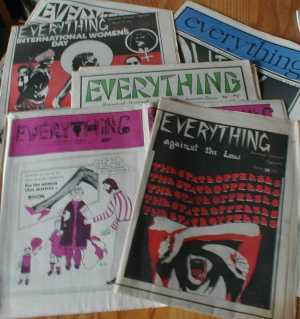 The bookshop has spawned a number of endeavors including an anarcho- feminist group which has published 4 issues of an occasional newspaper, Everything, since March 1979. The other major offshoot has been an anarchist publishing collective - Monty Miller Press. The first two pamphlets have been published this year - 'Marxism and a Free Society' by Marcus Graham, and 'The Methods of Anarcho-Syndicalism' by Rudolf Rocker. A radio collective at one stage looked like forming but lacked a sufficient number of non-overcommitted people to get off the ground. All of these groups have been totally autonomous and have no organizational links other than overlapping membership with the bookshop. Two other organizations share the building with Jura Books: the Industrial Workers of the World (IWW) Sydney Group, which has a small office; and the Fanya Baron Library. The Library was named in memory of a young Russian anarchist murdered by the Bolsheviks. 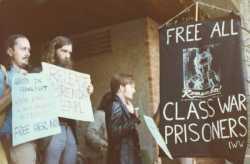 It was started during the Sydney Anarchist Conference in January 1975. After four years in operation, Jura Books is a foundation, not as secure as we would like, but a progression on what has gone before in Sydney over the previous decade. It is a firm start to an anarchist movement in Sydney, and in Australia. 1 From the Melbourne Anarchist Archives (papers 1) - 1970 leaflet. 4 From the FAAB no 2, late 1973. 6 From Acracia no 35, late 1974. 7 From FAAB, new series issue no 1. 8 From FAAB, new series, Jan/Feb 1975 - article by D.W.
10 Statement by 7 participants on the formation of the LSF from the Libertarian Socialist Bulletin July 1976. 11 From the FAAB Monash Edition July 1976. 12 From the FAAB January 1977 - Brisbane Anarchist Group edition. 13 See Open Road 7 - Summer 1978 for a report. 14 See the internal discussion document - 'Homage to Catatonia'. For the political position of the LSO, four statements are published in the pamphlet: Politics of Human Liberation - REVOLUTION REASSESSED. 15 See 'Bootleg' number 7 for a full report. Bootleg was a heavily anarchist influenced alternative Perth magazine issued in 1979. I would like to reply to John Englart's article on Anarchism in Australia what can I say, the omissions would fill up several FREEDOM Review sections. In trying to cover everything he has said nothing, particularly about the current split in the Jura Bookshop group there is a strange silence! The shallow treatment of the other areas besides Sydney reflects his isolation and he would have been better to concentrate on New South Wales specifically. The Federation of Australian Anarchists Bull and the fascinations with paper organisations and positions of slimey Trots and the groups of students gathered around Professors in Victoria and Queensland might be worth exposing critically but this is not done. Curiouser is the attacks upon the 'carnival anarchists' for not behaving themselves in the Courts of the all-knowing 'Gentry '. I can only say that the obituary on them is premature and that calendars, postcards, squatting, a cafe continue a presence despite the best intentions of the police, thugs, their 'comrades' in the anarchist scene and various other authorities. Having left Australia for some years now it seems incredible that nothing of current activity is shown, only the crumbs of a miserable past and with a few slurs thrown in. A puzzle for some readers in Europe no doubt until a proper job is done and maybe 'entertaining' for the ignorant but personally I am aghast. Some comments on the otherwise useful article by John Englart on recent Australian anarchism. As a member of the Sydney 'carnival' group in 1977-78 and having maintained contact with them since I feel that their role has been downplayed. Squatting, by its repudiation of private property, is anarchistic and has a spillover into other cooperative activities (eg, entertainment, printing, food coops, mutual aid). This practical expression of Anarchy in Sydney has an importance far beyond bickerings over personalities and position papers. The Sydney squatting movement is still alive and well, particularly in Pyrmont where many NZ anarchists reside. The Balmain coffee shop established by these 'Panic' people holds regular meetings. Three anti-authoritarian calendars, postcards, posters, and a reprint of 'Why Strikes Fail' have been produced by this group. I shared a squat with Ken Hauptman for over a year. He was strong-willed, opposed to hypocrisy and promoted many cooperatives, housing, printing, protest and support activities. His 'individualism' was strength of character. My article on Anarchism in Australia had a number of ommissions which do need correction. The contributions of a number of individuals deserve special mention, including Bob James for his effort in research and publishing a book on Australian Anarchists of the 1880's and 1890's, and the publishing over the last two years of The Review of Libertarian Politics and Alternative Lifestyles, which has had wide commercial distribution throughout Australia. Similarly, the activities of many unnamed individuals in Darwin, Launceston, and other isolated areas, not to mention individual activists in the major cities working by themselves or in issue oriented groups like Friends of the Earth, Prisoners Action Group, should not be forgotten. Perhaps one of the greatest errors made was my assertion that the Carnival Anarchists had all but disappeared. As PEDRO correctly points out in his letter (24/7/82), the Carnival Anarchists have continued to exist and be active in publishing postcards, calendars and posters, squatting, and attempting to open a social centre. I hesitate to call it a cafe. Subjective criticisms aside, I acknowledge errors may have been made, primarily by ommission, all made without malice or intent. But the general purpose of the article of providing an overview of Sydney Anarchism in the last 10 years, and setting it in a continental context, I maintain, has been substantially fulfilled. With regard current activity, it is rather hard to include up to date information in an article written July - August 1981 and published June 1982, particularly in regard to a split in Jura Books which started seriously developing in December and was not finally resolved till July 1982. The proposal for the division came after several months of traumatic, often emotionally charged debate, and was seen as a final positive search for an equitable solution. Stocks were divided on the basis of a number of premises including that the resources be divided equally, and that the day to day functioning of Jura Books should not be disrupted. The negotiated settlement was finally reached by consensus in mid July and documents were exchanged simultaneous with the removal of stock on 22/7/82. Henceforth two anarchist Bookshops will be operating in Sydney. Jura Books will continue at the current location, and the new shop will be REDFERN BLACK ROSE ANARCHIST BOOKSHOP At 36 Botany Road, Alexandria, NSW. Neither group, I feel, bears substantial ill will against the other, although there is a certain mistrust between individuals. Apologies to PEDRO for not being able to tell all the current activity going on in Australia, at the moment.